By buying this product you can collect up to 431 Yachtaid Points. Your cart will total 431 points that will be converted into a voucher towards your next purchase! Must be logged in to collect points. Electric bow thrusters (DC thruster) are, based on their thrust, basically used in leisure boats ranging from 20ft to 100ft. The DC thrusters are less space consuming, easier to install and can be an cost efficient alternative to hydraulic thrusters. 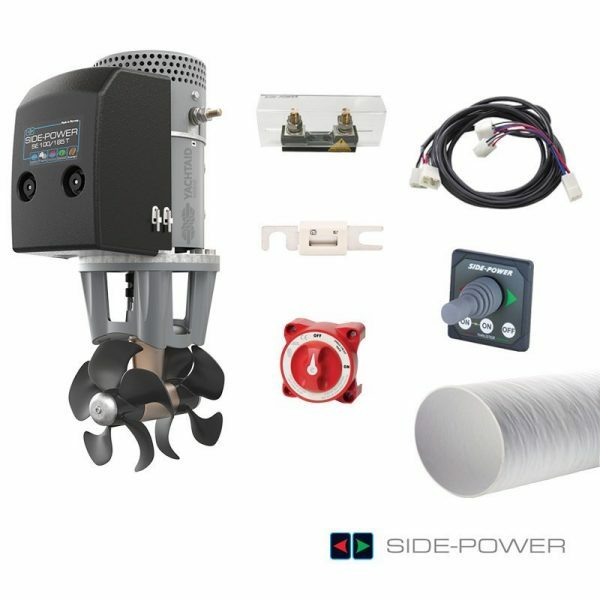 All Side-Power electric bow and stern thrusters are equipped with the patented Intelligent Power Control (IPC) safety function.